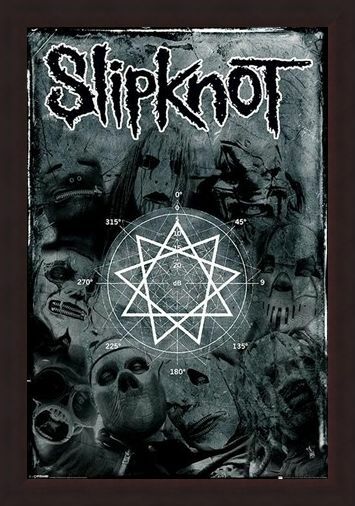 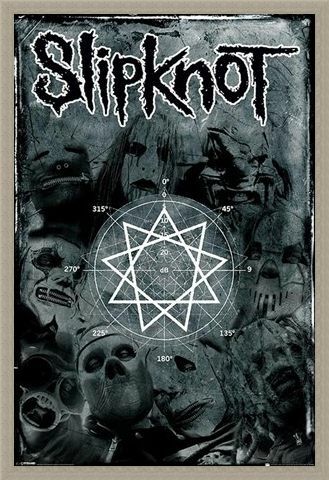 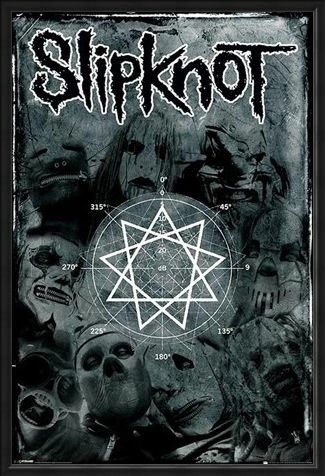 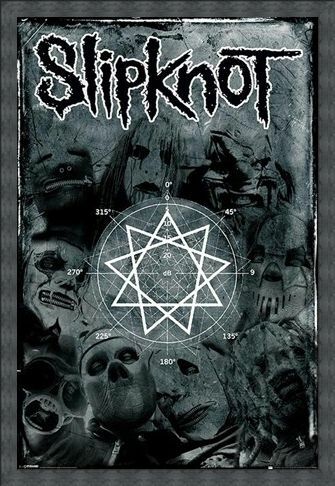 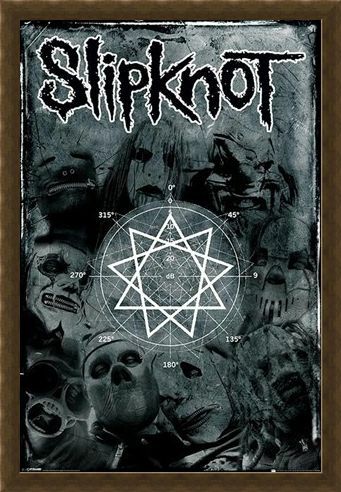 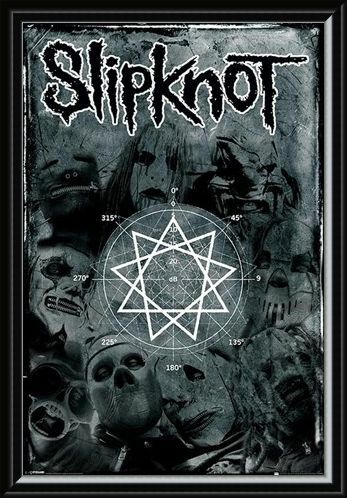 Music Poster: Feel the pulse of the maggots with this awesome Slipknot poster complete with shots of their masks and a pentagram in the middle. Slipknot burst on the scene in the 90's and their use of creative masks to hide their identities instantly set them apart from the crowd. 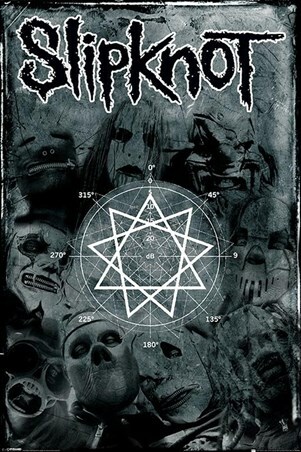 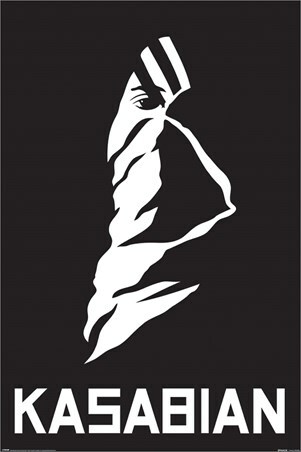 Hang this mysterious ethereal image on your wall and show your support for the weird and wonderful Slipknot. High quality, framed Pentagram, Slipknot poster with a bespoke frame by our custom framing service.